Pokémon has absolutely taken over the mobile gaming scene since its release on July 6. But if new data from SurveyMonkey is any indication, the game’s popularity may already be waning. First, the good news for Nintendo and game developer Niantic: Pokémon Go is still a massive hit, with somewhere in the neighborhood of 21 or 22 million daily active users in the United States on July 20, according to SurveyMonkey’s data. The bad news is that daily usage is down from the peak daily usage of over 25 million users, which Pokémon Go hit on July 14. To put that into context, the United States has a population of around 324 million as of this writing, according to United States Census Bureau. 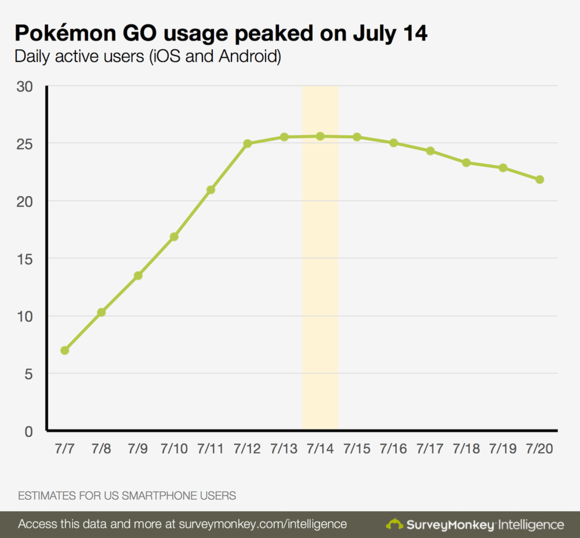 If SurveyMonkey’s figures are accurate, that means that at its peak, over seven percent of the US population played Pokémon Go on a given day. As of the latest figures, Pokémon Go daily usage sits in the six percent range in relation to the overall US population. As for downloads, those seem to be tapering off as well. According to SurveyMonkey, Pokémon Go’s launch day was its biggest in terms of downloads in the US, with a second spike around July 10 and July 12. Since then, daily downloads have been in steady decline. The story behind the story: Pokémon Go became an instant sensation from the moment it was released early this month, with scores of players getting swept up into the game and businesses trying to cash in on the craze. According to SurveyMonkey’s earlier research, it became the most popular mobile game ever in the US on July 12, when it had nearly 21 million active daily users in the US. That edged out Candy Crush Saga at its peak, the report noted, making Pokémon Go the most popular mobile game ever in the United States. 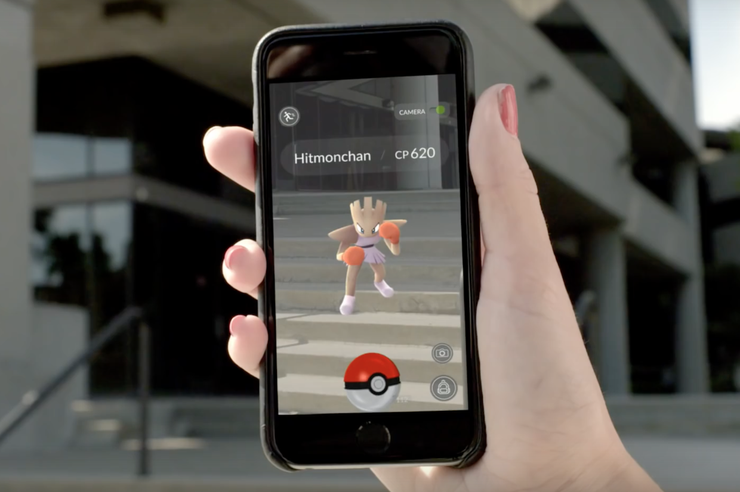 Players convened in San Francisco for a Pokemon Go event on July 20. While the initial surge of interest in Pokémon Go seems to be subsiding, it’s still too early to tell whether the game is now in inexorable decline, or whether it’ll maintain some degree of popularity going forward. There are some signs, though, that Pokémon Go may be with us a while, even as the initial craze here in the US subsides. Case in point, Pokémon Go just launched in Japan on Friday with McDonalds as a sponsor, as IDG News Service's John Ribeiro reports. 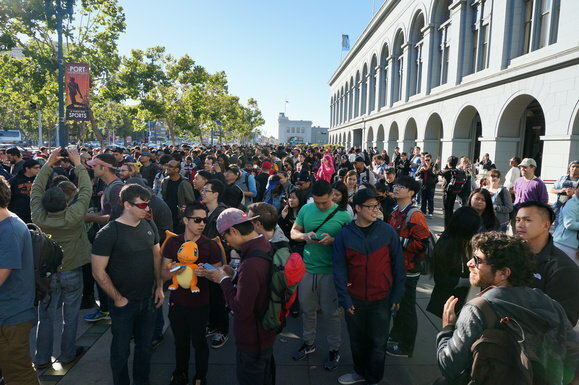 Also, if this past week’s massive Pokémon Go meetup in San Francisco is any indication, there’s still plenty of interest in the game here in the US. That said, it’s entirely up to Niantic and Nintendo to give players incentive to stick with the game over the longer term.